We work across the health system to ensure people diagnosed with cancer receive the best possible treatment and care, wherever they live. If you live in NSW, your chances of surviving cancer are among the highest in the world. 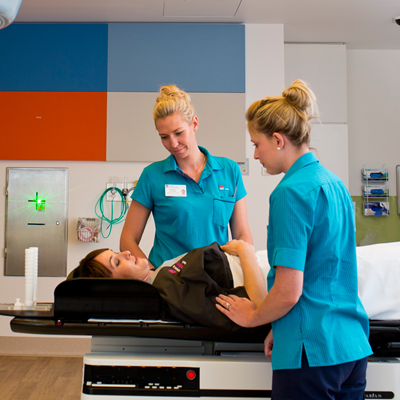 It is vital that people diagnosed with cancer receive world-class treatment and care, wherever they live in NSW. We work across the NSW health system to make sure that the diagnosis, treatment and care of patients is based on the latest data and evidence. We also support the health system to ensure people’s care is coordinated throughout their cancer journey, and that their care is overseen by a specialist cancer care team. Visit Patient Information to learn about cancer diagnosis, treatment and possible side effects. You will find practical advice about dealing with cancer and finding support. We also recommend links to more detailed information. We are working across the healthcare system to ensure that when a person is diagnosed with cancer, they get the best possible treatment and care. Health professionals require the latest evidence and information on treatments to ensure patient safety and the best outcome possible.